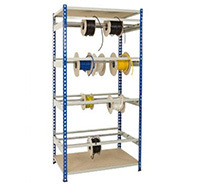 Coil racking, also known as cable racking, is designed for the safe storage of material on reels or drums (usually electrical cable) allowing easy access to reduce handling. 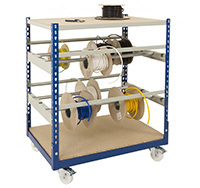 The drum, located on a steel spindle is conventionally handled by forklift trucks and positioned in the desired rack location. Each system is designed specifically to meet your unique requirements.